The front loader can be attached to tractors Tuber 40 or Tuber 50. It is used for loading and unloading of all types of bulk cargo (sand, gravel, debris, wheat, corn, fertilizer and other things), loading and unloading logs and all types of bales, pallets and other materials on farms. Before the first connection of the front loader, the tractor should be provided with setup and reinforcement brackets. 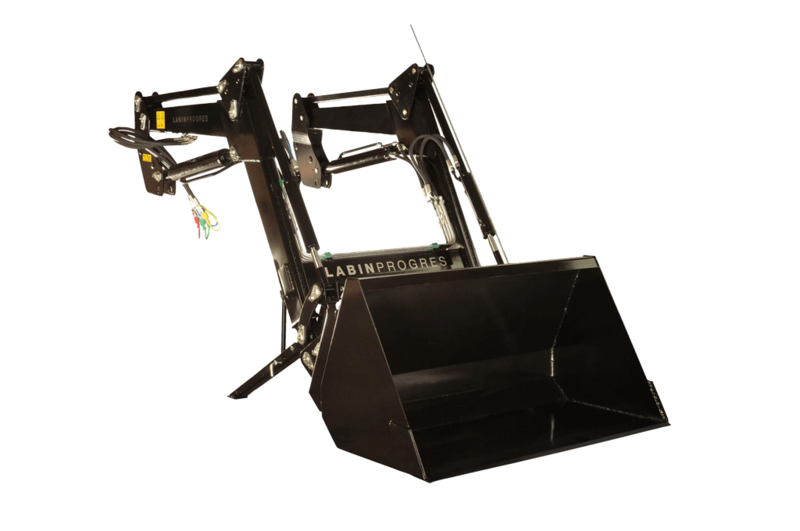 After the reinforcement and brackets have been set up to the tractor, the front loader can be easily and quickly mounted and dismantled. The levers for hydraulic control unit are located on the tractor, beside the driver’s right hand. They allow vertical lifting of support of bucket and the bucket. Hydraulic pipes for loader propulsion are connected to the tractor through quick clutch (on the tractor and the front loader). Raising and lowering of the carrier and the bucket is carried out through double-acting cylinders. 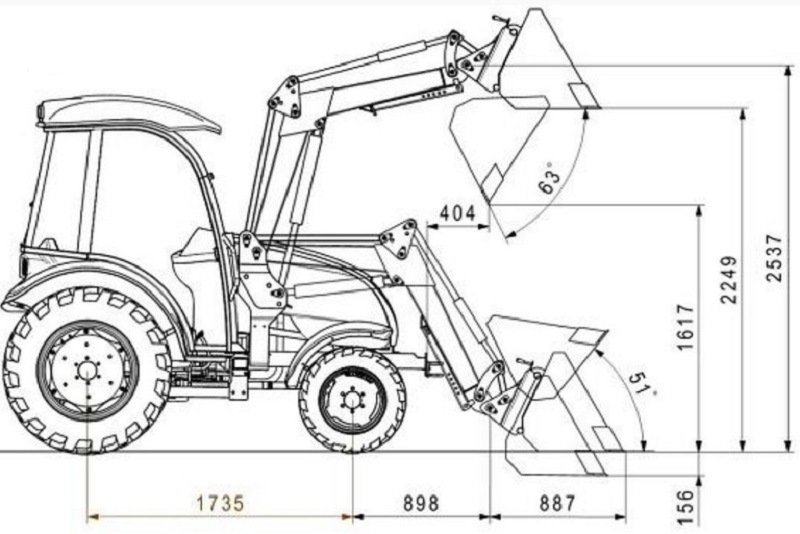 Beside loading and unloading of the cargo, the front wheel can be used for lifting the front of the tractor in a particular service or technical interventions such as changing tires or similar operations. On the bucket support can be, instead of bucket, attached various attachments like pallet forks, bale hay and other attachments that allow its multiple use. The front loader can be attached to tractors Tuber 40 or Tuber 50. It is used for loading and unloading of all types of bulk cargo (sand, gravel, debris, wheat, corn, fertilizer and other things), loading and unloading logs and all types of bales, pallets and other materials on farms.